If you would like to request support, ask any questions about using Oryx, or report any problems, please contact Douglas Instruments. 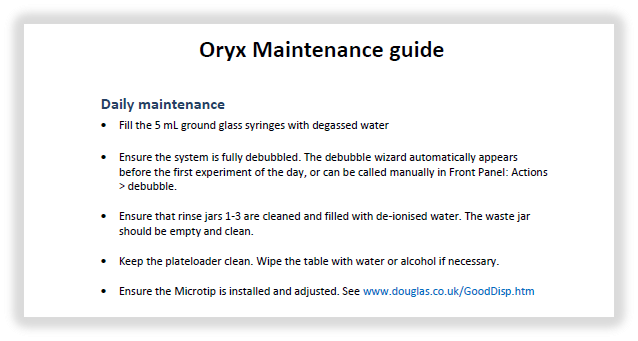 The maintenance training PDF document below has instructions for routine system maintenance. Please follow the instructions as required for daily, weekly and yearly maintenance. Please follow the instructions in the quick start training PDF document to design an experiment, then follow on screen instructions in Front Panel to prepare and dispense the experiment. 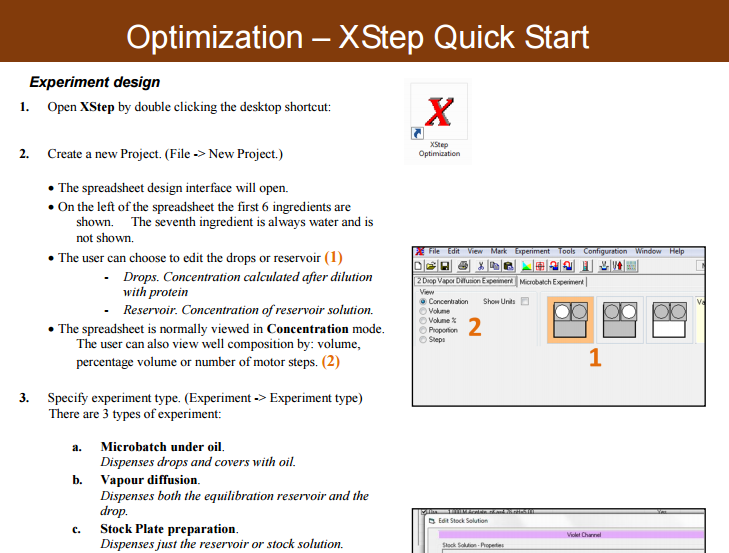 For Optimization experiments please read the XSTEP card for optimization experiment design or for screening experiment see the in software instructions or the experiment design cards. Simple step-by-step instructions for users covering maintenance and experiments.